Jacob Zuma is not all too impressed by some of his party’s members, a fact he made very clear as he threatened his detractors within the ANC. With a simple highlighted topic, he made his intentions clear as he warned the NEC not to push him too far. 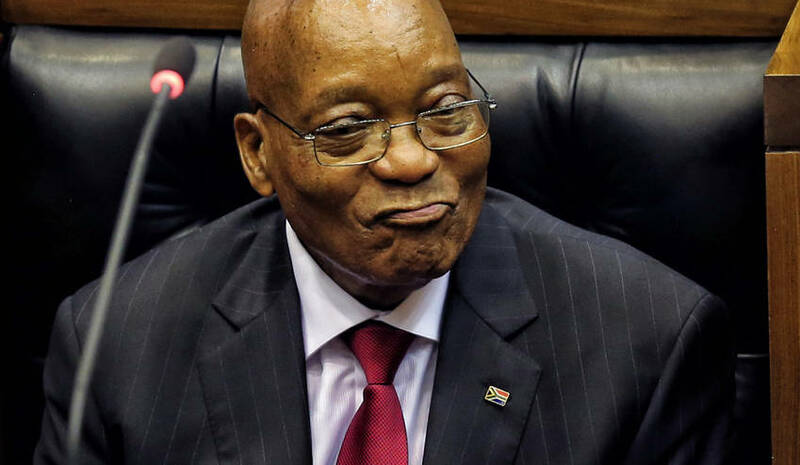 While addressing the party’s national executive committee meeting in Pretoria, after surviving yet another motion for him to step down, Zuma was furious at once again having to defend his leadership – and so close to the end of his lead role in the ANC. After two days of deliberation, the party’s highest decision making body decided against the motion, allowing President Zuma to remain in his capacity as the leader of South Africa. An interesting statement to say the least, it would seem the president is ready to spill the beans on those who have reaped the rewards from his time in power, but lost their loyalty to him. Zuma, seemingly on a roll of retribution, didn’t stop there. He also went as far as to point out the faults of party controlled regions and comment on the losses of the past election. He slammed the Gauteng sect of the ANC for blaming him on electoral decline, reiterating the fact that his party did not even distribute Zuma focused memorabilia during the run-up to the 2016 election. He went further, blaming the party members for losing Nelson Mandela Bay Municipality – pointing out infighting as the main cause of unrest and insecurity in the area. Hanging onto the fact that he has kept quiet for the sake of the party, the president also brought up the 2014 plot to poison him, saying he knew who had planned it, but would not say for the sake of the party and its comradery – saying only it would harm the ANC to divulge this sort of information. The second motion of this nature against the president, within the last six months, the NEC debated Zuma’s political future after ANC policy guru Joel Netshitenzhe put forward the motion. Sources who were present at the meeting say that as many as 70 NEC members spoke for and against the motion. Despite reports that support had grown for the cause to oust Zuma, it would seem that Zuma still holds sway over the committee – especially considering the verdict. Supposedly as many as 18 NEC members, including cabinet ministers, supported the motion, but considerably more leaders spoke out against the motion, preferring to squash to efforts and focus on uniting the party before the upcoming elective conference. Zuma maintains that he doesn’t understand the reasons behind the second call to step down as he has already decided not to stand for re-election at the ANC elective conference in December, meaning that by the end of the year his power will have declined regardless of the motion – although perhaps this is as much punishment as it is protecting the future and image of the ruling party. After so many worries and scandals surrounding the Zuma presidency, there is a large concern that the damage is too far gone. Many stress that the faith in the ANC has declined past a level that can be rescued, was this perhaps a last ditch effort to maintain trust in the party leaders moving forward?